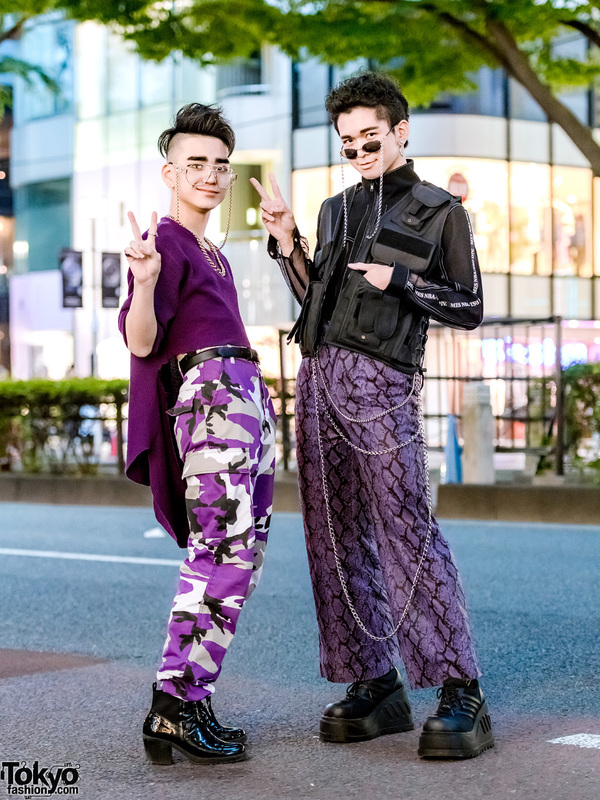 While out and about on the streets of Harajuku one early evening, we came upon Billimayu and Eiji, two students who we regularly feature on our street snaps. 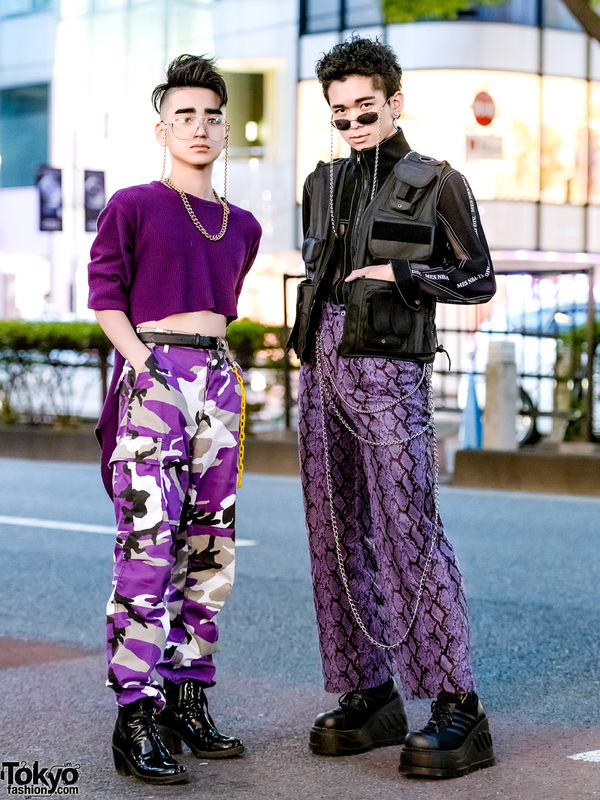 Today, they easily caught our eye with their purple-themed street styles. At the left is Billimayu, sporting a partially-shaved hairstyle. 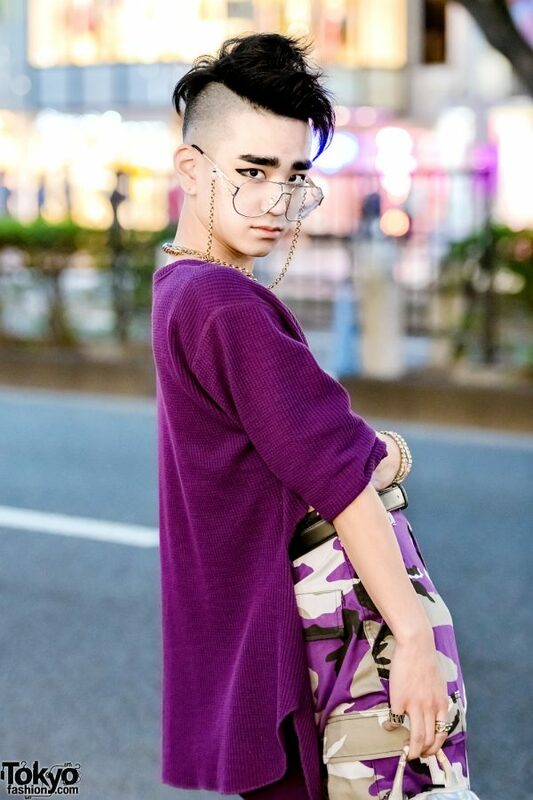 The 16-year-old student is decked out in a purple vintage remake ribbed sweater with a cropped front and long back. 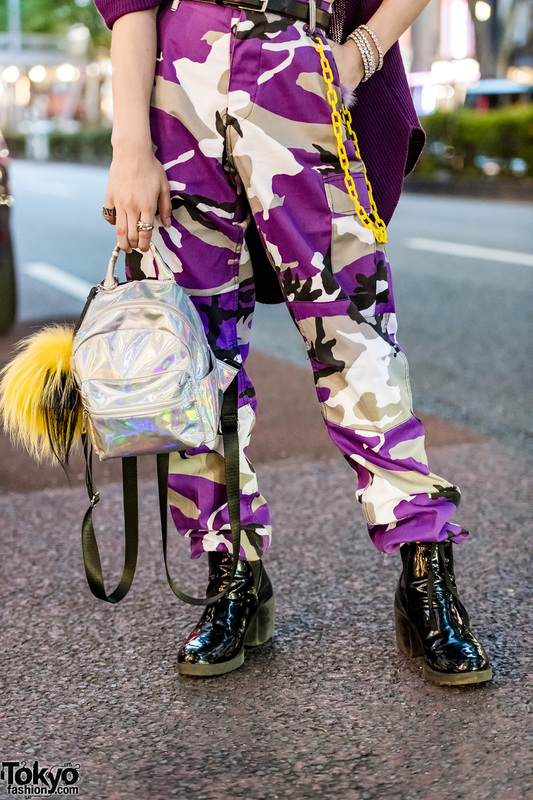 He paired his sweater with purple camouflage pants from Rothco, vintage patent leather ankle booties, and a silver metallic mini-backpack from WEGO with a yellow-and-black fuzzy keychain. 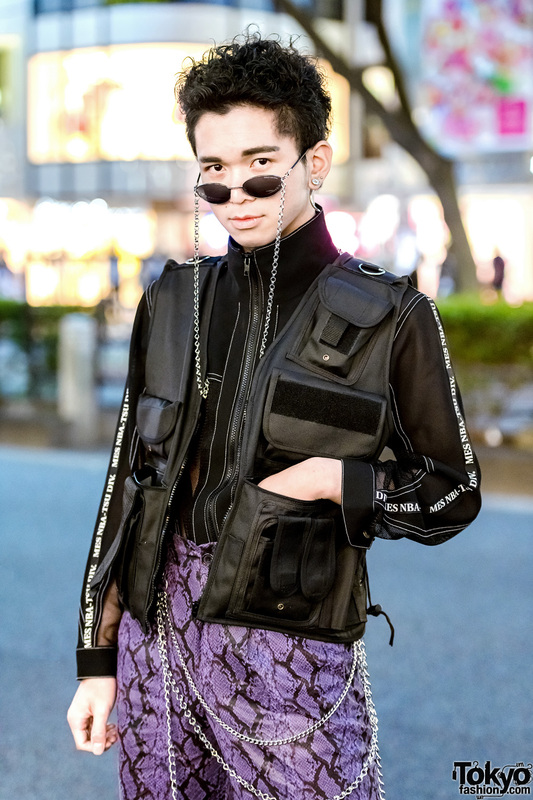 His accessories include vintage Fendi eyeglasses with a gold chain strap, a gold chain necklace, a black leather belt, rhinestone bangles, yellow chain accessory, and multiple rings. Premiere fashion label, Givenchy, is Billimayu’s fashion favorite, and he loves the music of Big Bang. Billimayu is active on Instagram and Twitter, follow him! 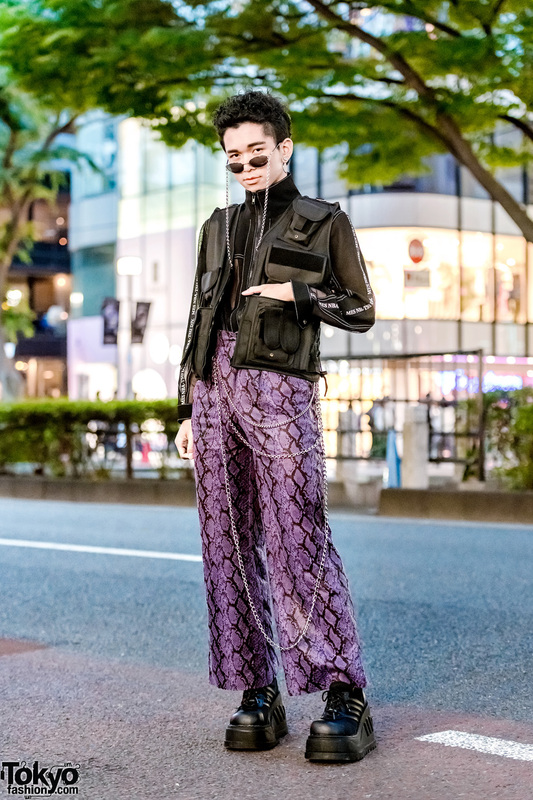 Meanwhile, Eiji’s purple-and-black street style features a black tactical vest with multiple pockets, drawstring side closures and chains at the back, which he layered with a black zip-up turtleneck jacket with mesh panels – both of which are from King Family and Gallerie. 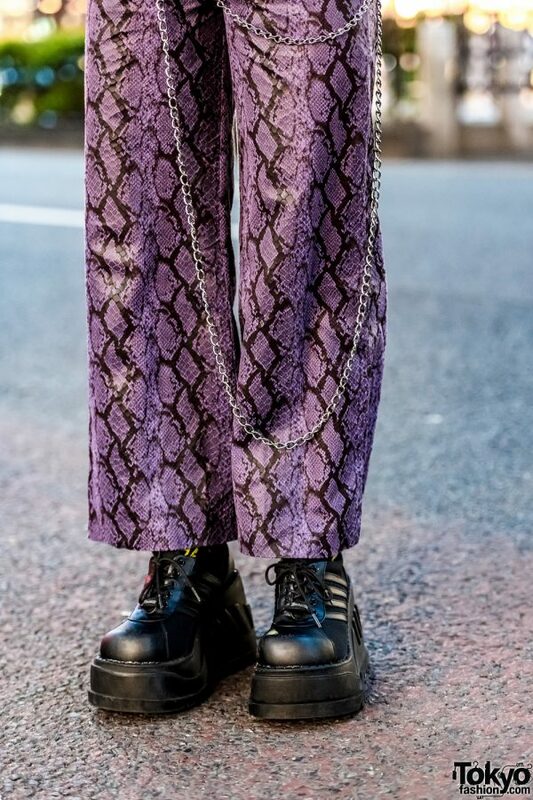 He paired his layered black tops with purple snakeskin semi-wide leg pants from Never Mind the XU, and black platform lace-up shoes from Demonia. 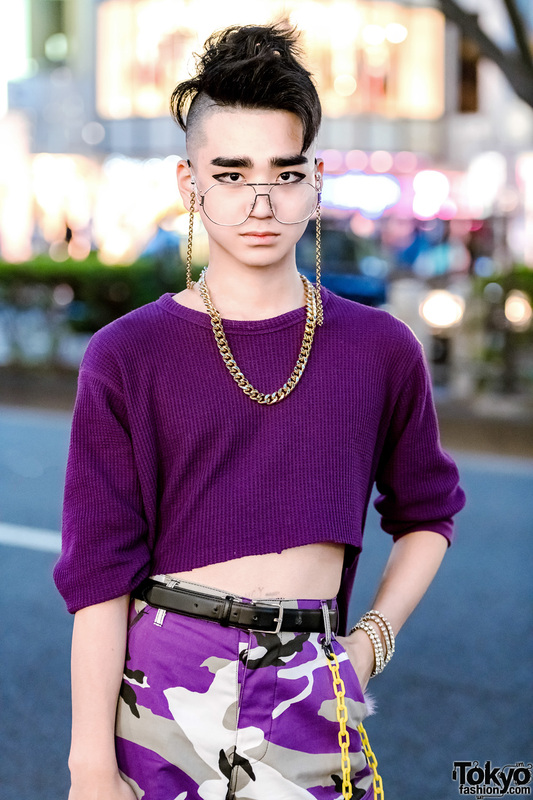 Accessories such as Harley Davidson sunglasses with silver chain strap, a statement nail Warp earring, and silver chains rounded out the 16-year-old student’s ensemble. 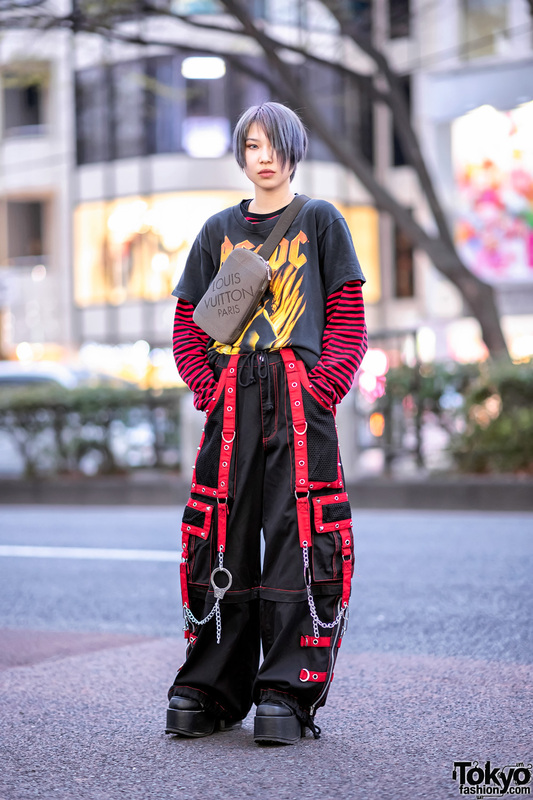 Eiji loves to shop at M.Y.O.B, and he likes the music of Kaiware Hammer. Eiji is also active on Twitter and Instagram.